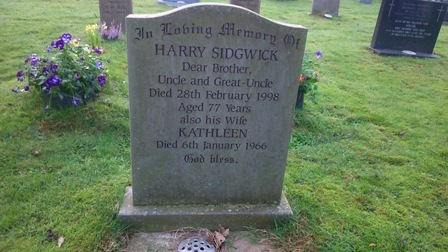 In Loving Memory of Harry Sidgwick. Dear Brother, Uncle and Great-Uncle. Died 28th February 1998. Aged 77 years. Also his Wife Kathleen. Died 6th January 1966.